Hundres of individuals donate to Karen Morris Memorial Trust every year to offer a simple human kindness to families and friends of leukaemia patients. A few words from you can show them the impact that their gift is having. 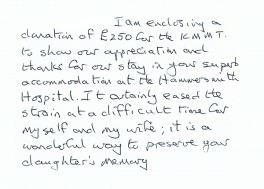 Please go to www.kmmt.org.uk/guestbook/ and tell our supporters the difference that Karen’s Home from Home has made to you and your family. 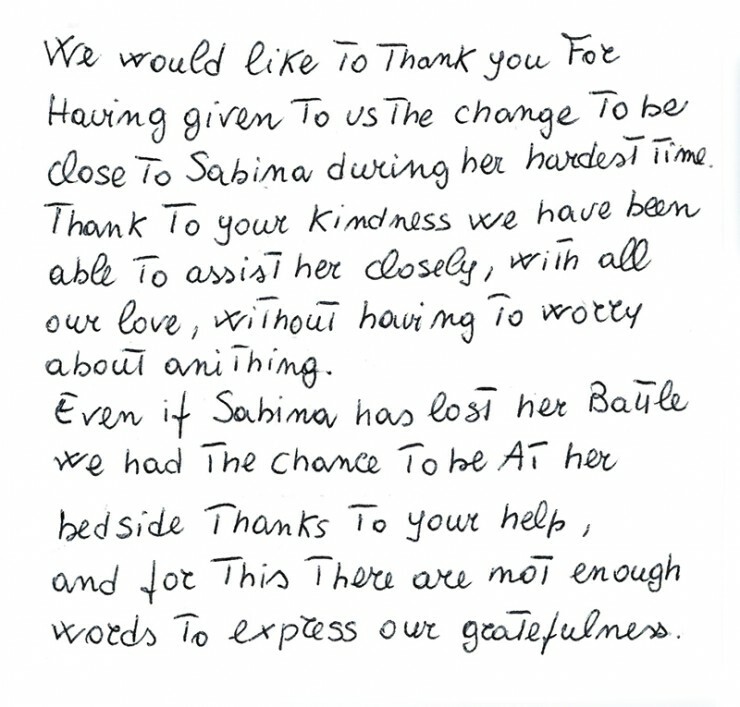 Become one of our supporters and offer the hand of hospitality to another family like yours. Been so amazing staying in one of the flats at Hammersmith Hospital after my husband had complications from his stem cell transplant, myself being disabled the travelling would have been so hard, I can't thank you enough. A million thanks to you very kind people. 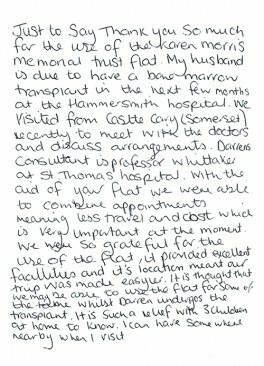 We have been so very grateful for the super accommodation you supply at Hammersmith Hospital while Rach was having the bone marrow transplant and after. A haven for frightened parents. 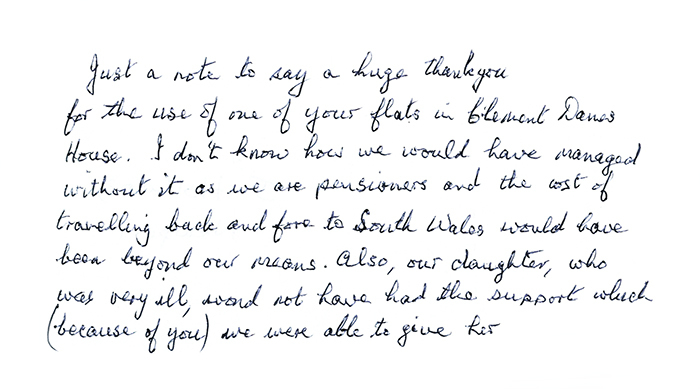 Staying in the flat made a great difference to us especially over the Christmas period. My husband and I have used one of the flats when I have had a five day chemo session. It saves a lot of hassle. 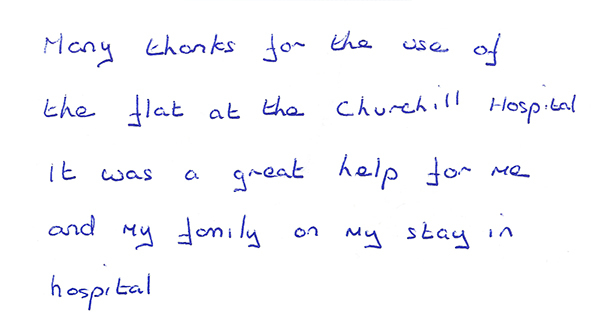 The flats are very well equipped at Addenbrooke's and make the treatment that much more bearable. I'm here to do a Stem Cell Transplant for my sister who has ALL leukaemia. I've just had a restful sleep and am ready for the cell harvest this morning. This flat is a little haven of calm and power - thank you so much I don't know what I'd had done otherwise. Bless you, bless the Karen Morris Memorial Trust. p.s Wonderful hot shower too. I can't tell you how much this lovely flat has contributed. Sending best regards to the charity and it's keepers. pp.s wonderful to hear the birds singing, I feel very nervous and this is calming me down. Thank you so much for the room at Karen’s Homes From Home. 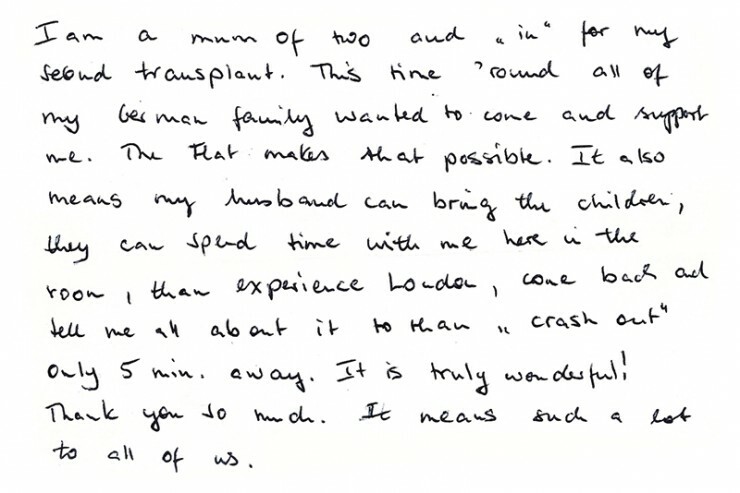 We came from Ireland so that my husband could donate stem cells to his brother. It was such a great help to us to be beside the hospital both for the procedure and to be near his brother. We are so grateful. 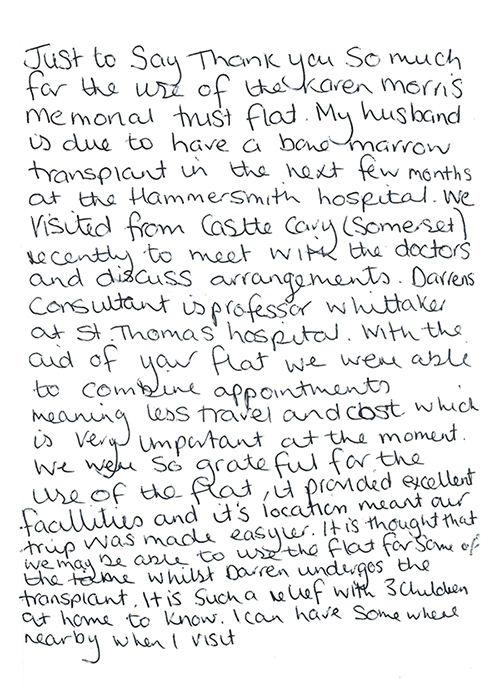 Karen’s Home from Home was made available to us, Oona’s family, at the Hammersmith Hospital. 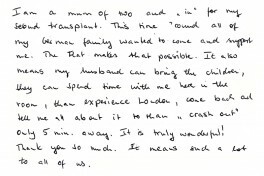 It was an absolute godsend, especially in the last five weeks of mum’s life when the leukaemia returned as it meant we could maximise the time we spent with her whilst she was on Intensive Care. It was so warm and homely, when we were feeling so utterly distraught. Lovely to have somewhere so close to the hospital for a much needed sleepover! Thank you. Very nice, convenient and cosy. 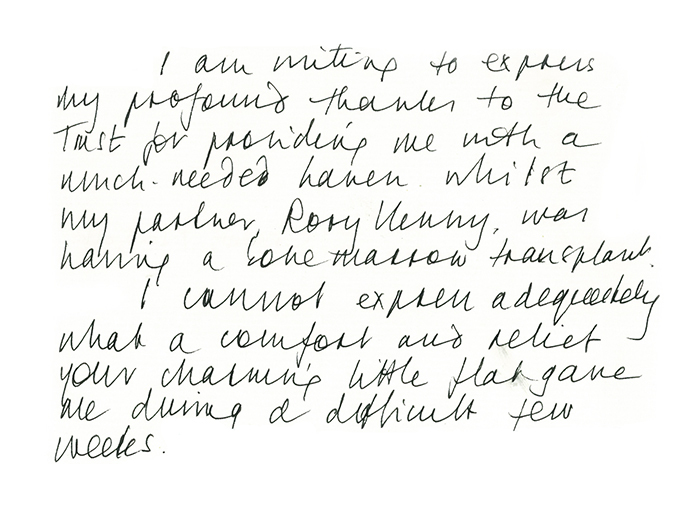 Warm and welcoming - much appreciated. Would like to say a huge thank you - the wonderful facility is a god send. As we live five hours away we would not have been able to have visited our son as frequently as we have if it were not for these wonderful little flats. All you need is in them and its lovely and quiet here too. When the worst happens it makes you very grateful for other people's thoughtfulness so thank you Sylvia, your generosity it is very, very appreciated. My Dad has just spent over three weeks in Birmingham hospital. 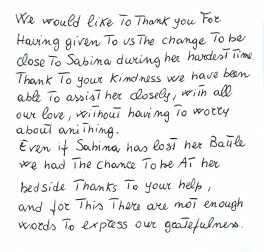 Thanks to the generosity of this foundation, my Mum was able to stay with him for the whole of his treatment. My Dad has never been the best of patient's and having my Mum present to support him was invaluable to him and extremely reassuring to the family. Mum loved the flat, felt very much at home and thought the facilities were fantastic. That is you for doing what you have done for relatives and patients of people receiving stem cell treatments, we are in your debt. I've stayed overnight a couple of times now during CLL chemo sessions. Being epileptic as well, I am unable to drive the 50-odd miles from my home. Being able to stay nearby has made things much easier for me. Grateful thanks to the Trust! 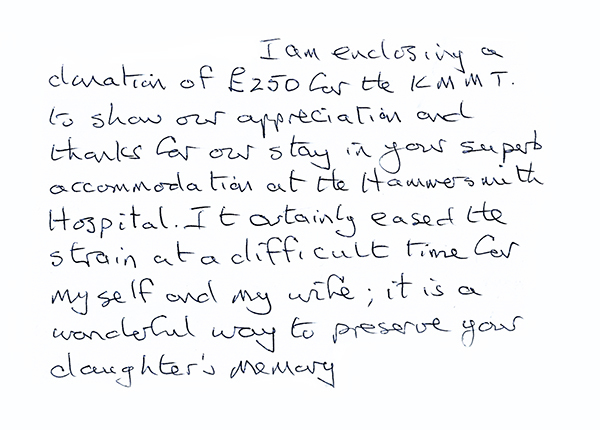 Open our doors to another family like Jim’s for just £30 per night.